Old map by BOOK OF HOURS - A printed leaf from a Book of Hours. 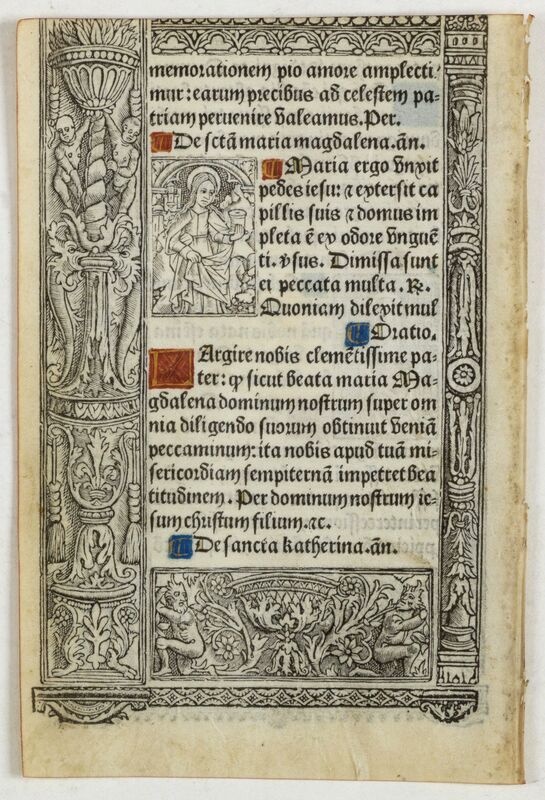 Title: A printed leaf from a Book of Hours. Size: 8.6 x 5.4 inches. 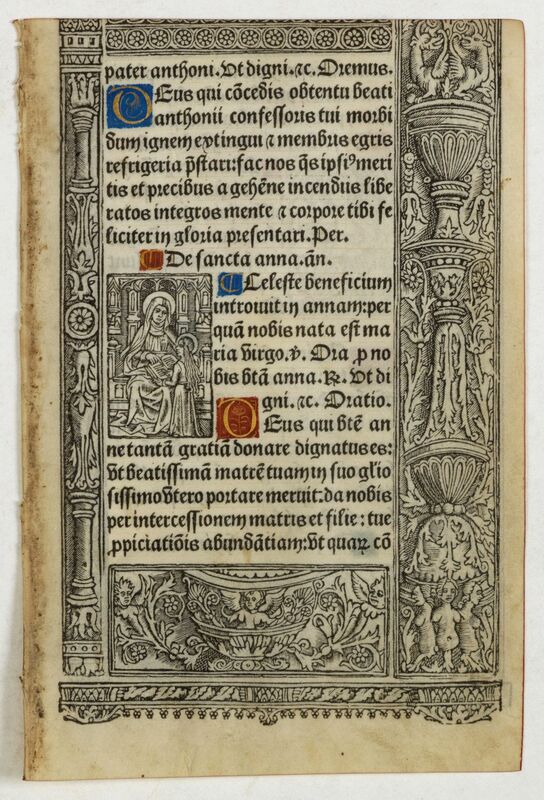 Condition: 30 Lines of text in Latin, with decorative side borders. 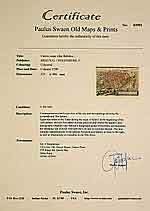 Size of vellum sheet : 203x136mm. Upper margin cut short. RECTO: Two 2-line and two 1-line initials in liquid gold on coloured grounds. Miniature with Saint Anne. Decorative panel border in he right and lower margins. VERSO: One 2-line initial and four 1-line-fillers in liquid gold on coloured ground. Panel with mother Marie.